Why do they sell fake cigars? What do they aim? Is it only for making more money or scamming cigar lovers? I think, both. These companies(if they really are) are unfortunately nightmares of cigars lovers. There is no legal action is taken against these companies. As I heard from a friend of mine working at Habanos S.A., there is a department in Habanos who are inspecting all companies selling Habanos product all around the world. Ok, but what is this department doing? Are they inspecting only companies selling Cuban cigars? What kind of legal actions are taken against these companies selling fake products. Answer is simple; nothing. I have sent mails regarding this issue maybe tens of times. I declared all companies selling fake cigars but I could not get a single reply. That’s the reason why I decided to write this blog and try to inform people and maybe urge Habanos S.A. to begin legal actions against these companies. I hope after people showing up interest to our blog Habanos will begin doing their job. When we come to the issue, at this article we will inspect companies selling fake Cuban cigars online worldwide, list and reveal them one by one. We revealed current counterfeited Habanos products at FAKE CUBAN CIGARS article in detail but we also need your help to complete the whole list. You can help us by providing firms you purchased along with detailed images of the products that you are sure that counterfeited. 7 websites listed below is owned by individual called Andrey Yurechenko and all of them is same company. There websites are advertising at the one of the most popular blog in the world (Cigar Inspector). It is unbelievable such a blog accepts this kind of advert. They should immediately stop this advertisement and should apologize from its visitors. NOTE: We are really happy to reveal websites selling fake products to our visitors and we also would like you to inform us about other websites you know selling fake products. is https://www.cubancigarleaf.com/ a legit place to buy online? As I sit here smoking my Hiya de Monterrey Epicure Especial that I acquired from James J fox cigars in London on St James Street I am reading your articles and loving the comments. I have traveled to London many times and have enjoyed James J fox cigars each time. 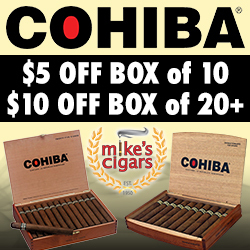 They are one of the only verified Cuban cigars sellers that I know of and can order from. They use DHL shipping and I have my cigars in 3 days verified authentic by the British government. I would highly recommend to anyone who wants a true Cuban cigar to purchase from that website. What are you smoking?! THAT website wants $1000+ for a box of 25 Montecristos No. 2’s! For that price, it better be delivered with a hot, big-titted-red-head to light my stick too! Both my son and I have purchased from Ihavavnas and have no problems at all. We have always had great dealings with this CC online stores. Its the only we trust. Appreciate this page so much! Thank you letting us know who is fake… you’re saving money for many. cigar terminal is a good site ????? Does anyone know if this website is selling the real thing as they seem very low priced to me. Seems I forgot the link or it got blocked?? .It’s The House of Habano I was wondering if it’s legit? They have a lot of limited edition stock at low prices…seems too good to be true, so it probably is?? ?